Rachmaninoff's Melody, Op. 3, No. 3 has been arranged for viola and piano by Viacheslav Dinerchtein, a Belarusian-born Swiss violist, who has appeared as a soloist with orchestra, in recitals, and in chamber music concerts throughout North & South America, Europe and Asia. An outspoken advocate for popularizing the viola, Mr. Dinerchtein is dedicatee of several viola compositions, and spares no effort to promote the expansion of the viola repertoire. The present arrangement represents his latest contribution in this regard. 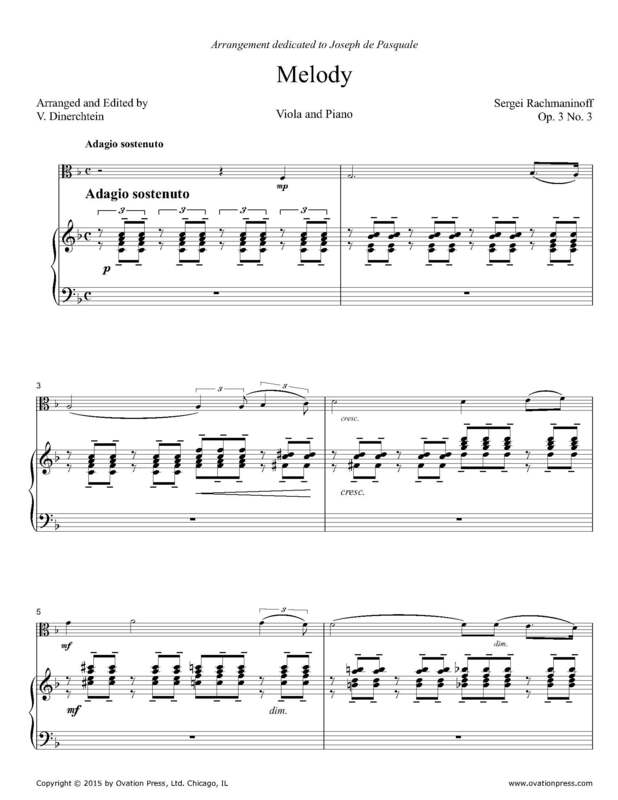 Download and print the score today to gain access to this expertly edited arrangement of Rachmaninoff's Melody for viola and piano by Viacheslav Dinerchtein!